The LiPo for Serious Racing. FlightPower is the "must-have" LiPo battery for maximizing the performance of electric-powered boats. Choices range from 2s to 12s packs with 300mAh to 5250mAh of capacity. Tamiya website. Click on "Paints & Accessories" for paint information. Dean's site is open again! Lots of scale boat and sub-building photos and tips. 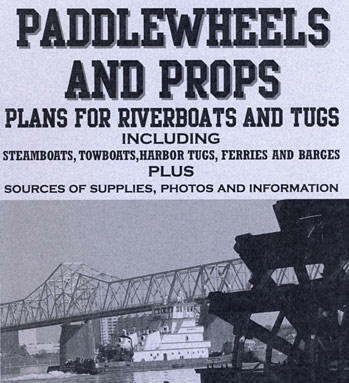 New Yahoo Group for Tugboats and Towboats by Towboat Joe! Welcome to Towboat Joe's world of Towboats. 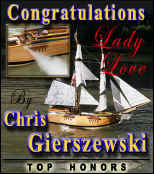 Link to Chris's Tallship Page. One of, if not the biggest model boat site on the web. It takes some searching but you will find articles on all of the Vac-U-Boat kits there. Yes! You too can have your favorite cannon or mortar right on your desktop next to the pencil sharpener! North Florida Operational & Radio Control Association of Shipwrights. A new web guide to R/C Plane & Boat clubs and organizations. The Worlds Largest "Real & Scale Replica" Model - Website, for Scratch Builder's And Inland Workboat Enthusiast! Gone from the internet since July 2015, here is a tribute copy stored at Vac-U-Boat.com. A great discount Radio Control hobby store. They get most of my spare change. Check your local hobby shop first. Their advice is worth the price! 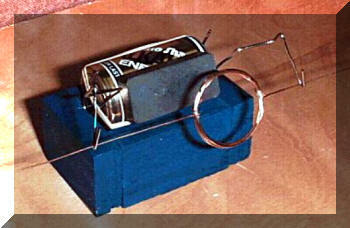 The Ultimate Guide to Radio-Control Modeling on the Web. A brand new forum for Vac-U-Tug Jr. owners to exchange tips and ideas. The AMYA is devoted to promoting the designing, building, racing, and preservation of all model sailing yachts. Everything that is Thunder Tiger Victoria sailboats. RC Universe section on the Victoria. How an electric motor works. Basic Beakman's Motor.